SIDNEY — Judge Duane Goettemoeller, presiding administrative judge of Sidney Municipal Court, delivered a presentation Thursday, Jan. 31, discussing contentious issues facing municipal courts in Ohio at the winter meeting of the Association of Municipal/County Judges of Ohio. Goettemoeller was recognized by AMCJO as a presenter regarding license suspensions, due process issues and scientific reliability and its relationship to Ohio rules of evidence. The meeting was attended by 210 of the 330 members of the AMCJO. 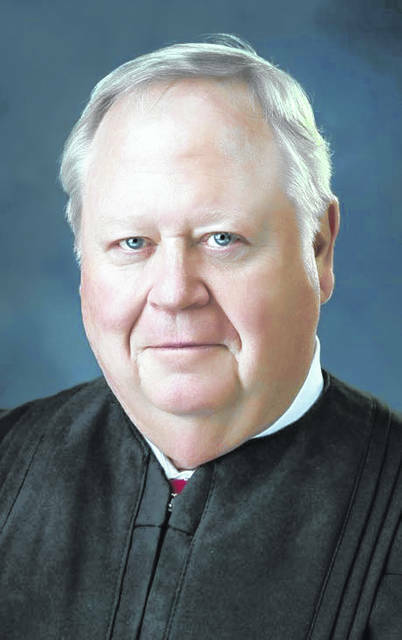 Serving as Sidney Municipal Court judge since 2011, Goettemoeller thanked the association for its recognition and agreed to continue lecturing at their request.